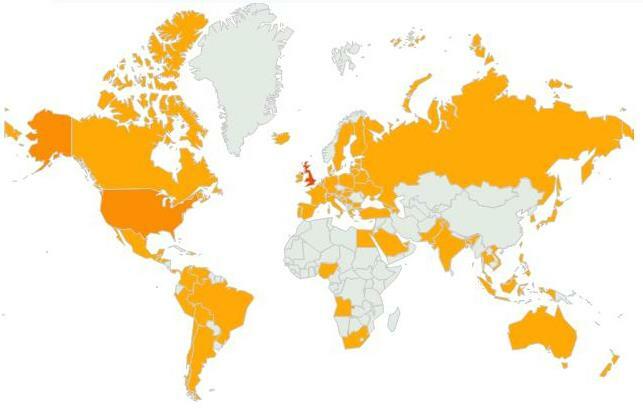 The blog has been viewed regularly in 77 countries since February this year, and when I checked earlier (like you do) it was also the number 1 blog when searching for ‘wado blog’ on Google.com or Google.co.uk. If you’re a bit of a geek like me you’ll appreciate that that’s pretty cool. We are hosting another First Aid Course in Hartlepool. It will be held on Saturday 2nd June, 10-4pm (it often finishes a little earlier than this). The course is HSE approved and will last up to 3 years. The course is limited to a maximum of 12 places and is on first come, first served basis. People who book a place will be expected to pay even if they pull out (unless a replacement can be found). Get in touch to book onto the course. What a difference a day makes… Letter from Wadokai England Chairman regarding Squad Selections. Selections will now take place on Saturday 19th May & another Selections will take place on Saturday 16th June. In response to the Wadokai England Chairman’s letter, I’ve also uploaded the original spreadsheet emailed out by him on 27th October 2011 at 22:35 which clearly lists 26th May as a date. – Wadokai England 2012 dates. People should hold their hands up and admit when they’ve made a mistake, as they happen to the best of us, and they would be respected a lot more for admitting that they’re only human – rather than try to blame the mistake on others. The Chairman’s letter also highlights yet another issue too. What is this ‘Lisbon Sakagami Competition’? and once again, why don’t all squad members know about it and have the chance to go? If it is limited to selected students then why aren’t the most successful competitors going?